Long time ago ALF was so popular, that everyone loved him. Let's refresh our memories by playing this incredible game. Run through the neighborhood and have fun! 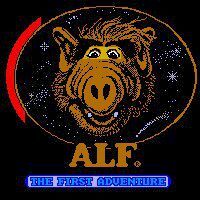 ALF is a legendary alien, that lived in a house of a regular American family. He had brought so much fun to us, that this game will be dedicated to him. Take control of this hero and run around, collecting pizzas from the neighbor houses and lawns, dodging the cat guards!